We had told Mark the house we wanted, in the neighborhood we wanted...and he delivered. Mark made the sale of our old home...and the purchase of our new home...absolutely seamless. His positive, relaxed personality coupled with his knowledge of North Brunswick...as well as his sense of humor, was comforting during what could have been a stressful time. And on the rare occasion we DID stress about an issue, he was quick to put our minds at ease...and get us the answers we needed. I honestly was waiting for the other shoe to drop because this entire process was just that easy. We can't thank him enough for getting us our dream home. Mark was great to work with, both knowledgeable & fun. He has a team that works well together to make the process nearly seamless. I would certainly not hesitate to recommend him to anyone in the market. I would highly recommend Mark J. Schmidt. He helped us both sell our home and buy our new home. He made the process go very smoothly where I could have been quite chaotic. He was always responsive and returning phone calls and setting up appointments for inspections even when they had to be done within an hour's notice. He was very knowledgeable in how the bank mortgage process works and helps guide us through their relentless requests, also providing any documents they may need directly to them saving us time. Overall we couldn't have asked for a better realtor. If you are lucky enough to work with Mark, I am sure you will have an excellent experience! Mark came highly recommended to me by a friend to whom he had sold a home. I contacted Mark and he responded immediately. He sold my condo in 21 days! Out of the gate I found Mark to be: prompt, courteous, professional, intelligent, reliable, confident, knowledgeable, fair, competitive, realistic, determined, and he treated me like I was his only client. He was so pumped and he delivered precisely what he told me "I'm going to sell your home!!!" He did in 21 days. His demeanor is also very calming in what could be a very chaotic time. He knows his stuff and I HIGHLY recommend him to everyone who needs to buy or sell a home. He's your agent....call him! My husband and I were in a position where we needed to sell our home. We had listed with other realtors and had no luck. My sister and my parents both had success selling their homes with Mark and suggested that we contact him too. I was initially hesitant because - what could Mark do that the others hadn't done?? Regardless, we reached out to him and I immediately saw the difference! Mark listened to us, understood our situation and was fully committed to selling our home. At times it seemed as if we were his only client (and obviously we weren't!). Needless to say, Mark was able to sell our home and we couldn't be more grateful. Mark, thank you for spending time with us, understanding our needs, providing clarity in times of confusion and for your ability to make light of situations that could otherwise seem stressful. We truly appreciate your hard work, passion and dedication! Thank you! Thank you! A million times...thank you! Buying a house can be extremely scary. It is one of the most important investments you can make. I heard horror stories from friends and family about what to expect and the delays that would inevitably wait for me. The day I met Mark, he went through everything with me and what the series of events would look like as the process went along. He told me if everything went as planned we would close on January 26th, 2017. This was my first time buying a house and Mark immediately put me at ease and genuinely cared for me and my concerns. He talked me through each step, kept me up to date and was in constant contact with me as we got through all of our "hurdles". Hurdles being the offer, inspection and closing. Literally not one bump in the road. People told me to expect the closing to be delayed for days, weeks or even months. I was waiting for the news that the predicted closing date was going to be pushed back. Everything was right on time and perfectly executed exactly how Mark had told me. I am beyond impressed with his professionalism, humor in a stressful situation and extremely sincere, caring disposition. Today is January 26th, the exact date predicted to close and I just left the office from closing with keys in hand....typing this as I sit in my new dining room. Thank you Mark for everything and taking such great care of me. I would recommend you a million times over again and hope to work with you in my future purchases. Mark is awesome! As first time home buyers, my husband and I were a bit nervous to delve into the realm of realty. But we had the fortune of meeting Mark and because of him, we were able to find our hidden gem of a home. From our first meet and greet to our closing, Mark always brought the same level of energy, enthusiasm and professionalism. He made the process very easy and more importantly, made it fun. We recommend his services to everyone we know...he won't disappoint! Thanks a million for all your help, Mark! Mark is absolutely the best realtor one could have. He is knowledgeable, honest,extremely prompt, positive and supportive. My husband and I were looking for a specific house and Mark was so patient and super available to help us. I will definitely recommend Mark to friends and family when they sell or buy a house. Mark helped us sell our home and find our current home as well. It was a quick, stress free and a good experience. He was also able to work around our busy schedule. I would highly recommend him. Could not have asked for a better realtor! Connected us to the great inspector and attorney- always had an answer to our questions, had a wealth of information based on years of experience. As a professional banker, it is important for me to deal with knowledgeable, conscientious and hard working realtors. Mark definitely exceeded my expectations and performed. I would personally recommend him as a quality real estate professional. Mark helped us sell our home in North Brunswick NJ, and buy our dream home in Flemington NJ. He was attentive to the quality of our listing, well versed on the sale trends in the area, and available to answer all of our questions and concerns. Mark also recommended a real estate lawyer, and loan agent, as we didn't have any prior referrals. We were very pleased with the service from "law to loan," we often felt like we were supported by a great team. Our sale transaction had some unexpected issues, and Mark handled them all with ease and confidence. Our biggest challenge had to do with obtaining a permit. Mark knew what we needed, and he worked very hard to ensure it was obtained in a timely manner. We used Mark for our purchase as well, and his guidance led us to the house of our dreams. Buying and selling a home is one of the most stressful experiences of life. We were so happy Mark worked with us, his familiarity with the real estate process, combined with his good nature (and humor), truly made every ounce of "blood, sweat, and tears" worth it! Mark is the only realtor I would use. Due to a family medical emergency we needed to sell 2 houses and move quickly to a new home. Mark listed both of our houses the day after Thanksgiving and he texted me at 11:30 pm on New Years eve to tell me we had an offer on the 1st house. The only person I know who would be negotiating a deal just after midnight on New Years, but it just goes to show he's always there for his clients! The second home sold just after and going through the process for both was simple and easy because of Mark. Our new house was listed For Sale by Owner and we had found it without realtor assistance, so there was no commission, that didn't stop Mark however from helping us with advice throughout the home purchase process. His knowledge and experience was truly invaluable as was his referrals to other professionals, from mortgage professionals to roofers -- they were all just as incredible as Mark. We were able to list and sell 2 homes and buy another all in less than 5 months. I'm positive we would not have had the same experience with another realtor. Mark is truly the best! My wife and I had been looking at homes in New Jersey for a few months and had become frustrated with our agent and his lack of follow through and focusing on our needs. We literally stumbled upon Mark at an open house that he was gracious enough to allow us to see even though it was nearly two hours past the closing time. Needless to say his warm personality, generosity with information and patience immediately clicked with us. We asked him to represent us and help with our search for a new home. Within a week Mark had us seeing three homes all of which fit our needs and we ended up purchasing one. Mark was helpful, accessible and charming throughout the process beyond even the closing. We cannot begin to tell you how much we enjoyed working with him and would highly recommend him to anyone searching for a home. We inherited Mark to sell our home when we went to see one of his listings! Not only did we buy that home from Mark, we asked him to represent our sale. We just clicked very well. As a dual agent, he was a great support system. He talked me off the ledge quite a few times during the selling process! Mark did a fantastic job marketing our home. I'm not sure we could have made it to the end without him! All in all Mark was a great realtor. He was always there for any question and/or concern and ultimately there to congratulate us when we closed! We are sorry that we can not use Mark for our out of state move but again Mark hooked us up with his relocation team and we are now working with a wonderful women for our move to NC! Thank you Mark for being so good at what you do and taking care of our family! I would and will highly recommend you to anyone!!!!!! Mark was wonderful to deal with. He helped us every step of the way as we tried to sell our home. He would even come over and take care of our dog while we had showings...LOL... Mark was truly professional and always available! Mark J. Schmidt is the best there is. You will be impressed by the level of service he gives to his clients. He is extremely knowledgeable of the market and how to negotiate a fair price and see a home sale through to the end in a smooth and painless manner. SMART! Check Out What My Friend Did to Get Ready to Sell Her Home! 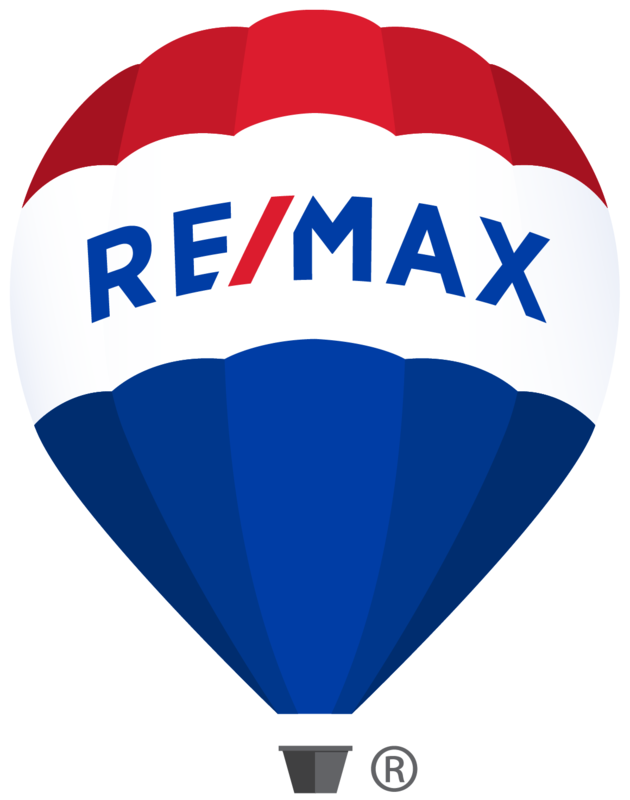 It’s my anniversary at RE/MAX Country, and YOU get a gift! Don't Let This Happen To You When Buying a Home! The People In Your Neighborhood: Rabbits Den Gives Back! Your Fall To Do List!